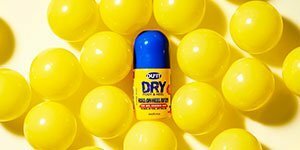 DU’IT Foot & Heel Balm Plus with 25% UREA is a clinically and dermatologically tested heel balm with a triple action formula, containing anti-microbial properties to heal the most stubborn cases of dry, rough, cracked and irritated skin. Visible effects within 5 days. DU’IT Tough Hands with 10% UREA is a clinically tested, intensive strength cream that works to seal cracks, replace lost oils, condition the skin and form a protective barrier to keep hands in top condition. Renovates dry, rough, cracked, irritated and calloused hands. Tough Hands 150g: Aqua/Water, Urea, Lactic Acid, Cetearyl Alcohol, Cyclopentasiloxane, Natural Starch Derivative,Dimethicone, Ethylhexyl Palmitate, Glycerin, Glyceryl Stearate, Sorbitan Laurate, PEG-100 Stearate, Ceteareth-20, Myristyl Myristate, Sodium Lactate, Tocopheryl Acetate, Sodium PCA, PEG-20 Stearate, Silica, Lauryl Pyrrolidone, Piroctone Olamine, Backhousia Citriodora (Lemon Myrtle) Leaf Oil, Leptospermum Petersonii (Lemon Tea Tree) Oil, Disodium EDTA, Benzyl. Tough Hands: Initially apply 2 or 3 times daily to clean, dry skin and at bedtime for 7 days then as necessary to maintain. Foot & Heel Balm Plus: Apply to clean, dry skin 2 or 3 times daily and at bed time for 7 days then as necessary. (For best results, cover the heel area at night with socks.) Do not apply to bleeding wounds or open skin. Discontinue use if irritation occurs. For external use only. Avoid contact with eyes. DU’IT Foot & Heel Balm Plus is an intensive heel balm formula containing 25% UREA. It’s clinically and dermatologically tested to effectively re-hydrate, soften and protect feet. Suitable for people with diabetes. It has a triple action formula, containing anti-microbial properties to heal the most stubborn cases of dry, rough, cracked and irritated skin. 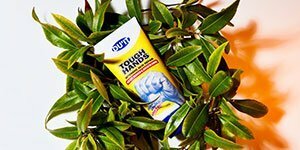 DU’IT Tough Hands is a clinically tested, intensive strength cream that works to seal cracks, replace lost oils, condition the skin and form a protective barrier to keep hands in top condition. Renovates dry, rough, cracked, irritated and calloused hands. Designed for active hands to keep them in top condition, it provides long lasting protection from damage to hands caused by repeated washing, prolonged use of latex gloves, chemicals, solvents, glues, cleansers and contact with other allergens and irritants. DU’IT Skin Care upholds holistic principals but does not ascribe to a vegetarian or vegan philosophy. 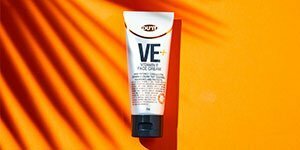 However Foot & Hand Duo does not contain animal or animal-derived ingredients. Our Glyceryl Stearate and Lactic Acid ingredients are derived from synthetic or plant extracts. 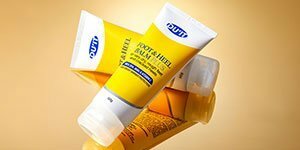 DU’IT Foot & Heel Balm Plus is an intensive heel balm formula containing 25% UREA. It’s clinically and dermatologically tested to effectively re-hydrate, soften and protect feet. Suitable for people with diabetes. It has a triple action formula, containing anti-microbial properties to heal the most stubborn cases of dry, rough, cracked and irritated skin. Unlike other heel balms, DU’IT Foot & Heel Balm Plus is non-greasy, easily absorbed and free from lanolin, parabens, petroleum chemicals and artificial fragrances making it suitable for even the most sensitive skin types. 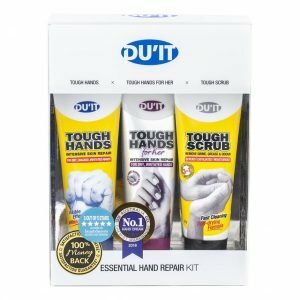 DU'IT Tough Hands is a clinically tested, intensive strength cream that works to seal cracks, replace lost oils, condition the skin and form a protective barrier to keep hands in top condition. Renovates dry, rough, cracked, irritated and calloused hands. Designed for active hands to keep them in top condition, it provides long lasting protection from damage to hands caused by repeated washing, prolonged use of latex gloves, chemicals, solvents, glues, cleansers and contact with other allergens and irritants. DU'IT Tough Hands is an advanced, multi-action treatment formula that contains skin smoothing natural lactic acid to exfoliate away dryness and improve skin texture and suppleness. UREA 10% Natural skin conditioner that maintains skin moisture balance and seals cracked skin. VITAMIN E Promotes skin healing, replenishes moisture, rehydrates dry and stressed hands. AHA’s Exfoliates and removes dead skin layers without the need for a pumice stone. DIMETHICONE Acts as a protective coating that shields skin with a non-greasy proactive barrier which counter-acts the loss of vital oils that leads to cracking and drying of skin. SODIUM PCA Intensive moisturiser that acts in synergy with UREA and holds moisture in the skin. LEMON MYRTLE and TEA TREE Anti-microbial agents used to treat minor cuts and mild infections.